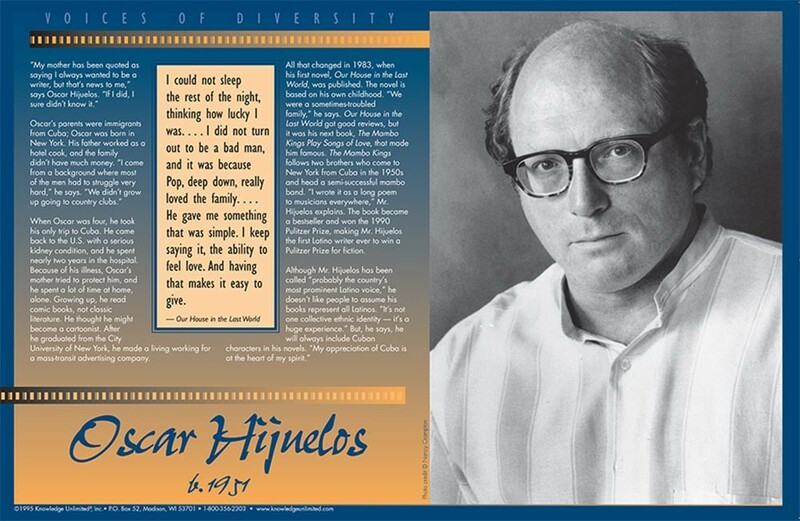 This educational poster of Latino writer Oscar Hijuelos features a striking photo of the author, along with biographical text of his life and work, and an excerpt from his first novel "Our House in the Last World." 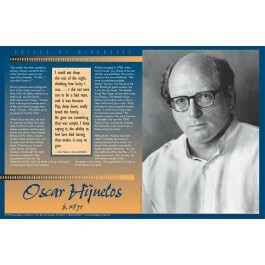 It was Mr. Hijuelos' second book, "The Mambo Kings Play Songs of Love," that made him famous. That book became a bestseller and won him the 1990 Pulitzer Prize, making him the first Latino writer ever to win a Pulitzer for fiction.